A beautifully presented and spacious one double bedroom second floor apartment, situated within this exclusive gated development just a ‘stones’ throw away from Three Bridges mainline railway station. The property which also benefits from an allocated underground parking space is accessed via the communal entrance lobby with lift and stairs taking you to all floors. Upon entering the apartment, you are greeted with an entrance hallway giving access to all rooms, as well as access to a large and useful storage cupboard. 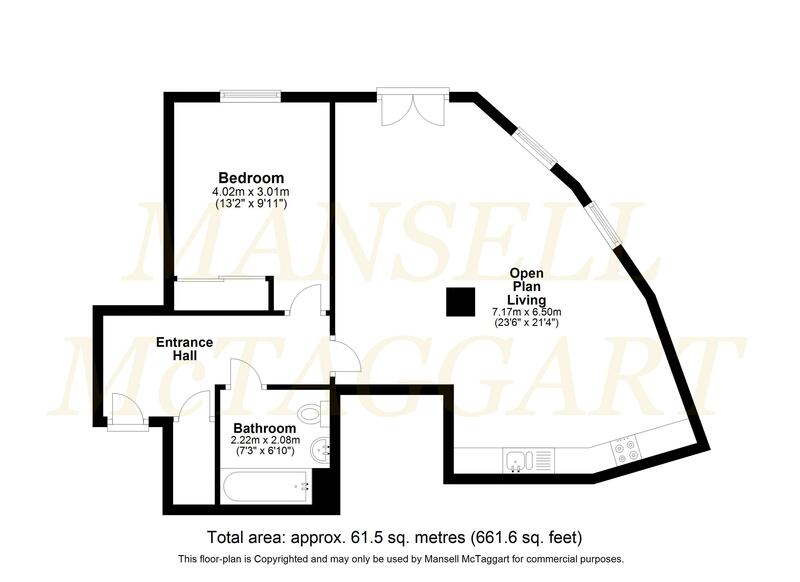 The open plan living accommodation is of a particularly good size with a door opening out to a private balcony. The living area is open plan with the kitchen comprising of a range of wall and base units incorporating cupboards and drawers with work tops over, integrated appliances include: washing machine, slimline dishwasher, electric oven with ceramic hob and extractor hood above and space for fridge/freezer. There is ample space for a dining table and chairs with two windows to front allowing in plenty of natural light. The bedroom is a good sized double room with window to side and a double wardrobe with sliding doors. Finally, the bathroom is fitted in a white suite comprising of a panel enclosed bath with shower attachment and glass shower screen, pedestal wash hand basin, low level WC, extractor fan, chrome ladder style heated towel rail and part tiled walls. Internal viewings are highly recommended as this apartment is offered with no onward chain and would suit both investors and first-time buyers alike. Ground Rent – £107.70 per 6 months Lease Details have been provided by the Vendor. This information should be confirmed by your solicitor.